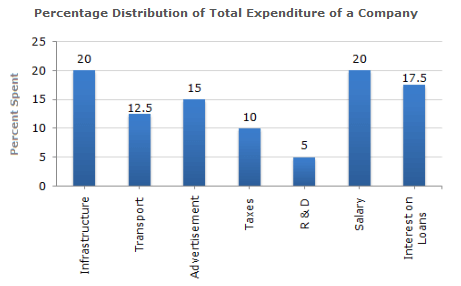 The bar graph given below shows the percentage distribution of the total expenditures of a company under various expense heads during 2003. 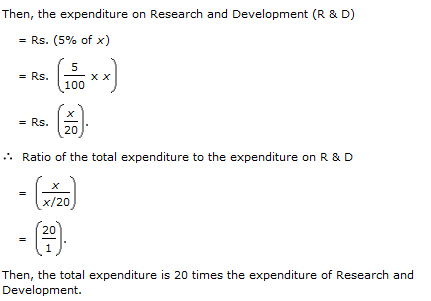 The total amount of expenditures of the company is how many times of expenditure on research and development? Explanation: Let the total expenditures be Rs. x. What is the ratio of the total expenditure on infrastructure and transport to the total expenditure on taxes and interest on loans? 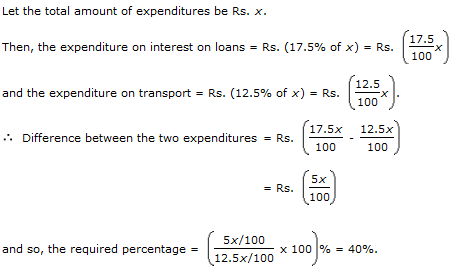 Explanation: Let the total amount of expenditures be Rs. x. 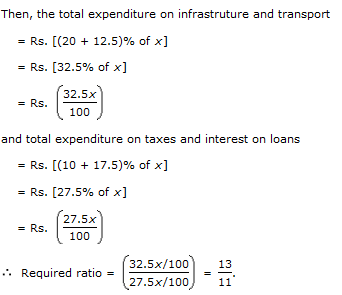 The expenditure on the interest on loans is by what percent more than the expenditure on transport?